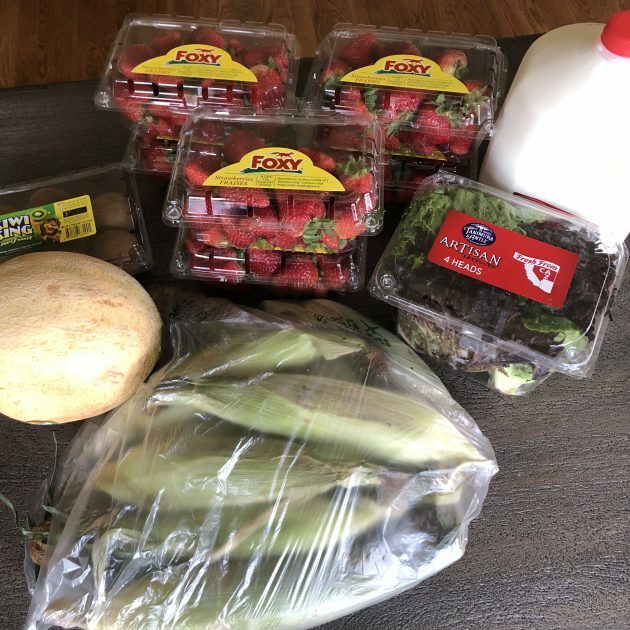 I spent $67.46 on groceries this week + you were right about Big Lots!! Since Wednesday is my Slow Day, I had some extra time to devote to shopping. So I stopped by Dollar Tree, Aldi, Kroger, and Big Lots. And I got some great deals! 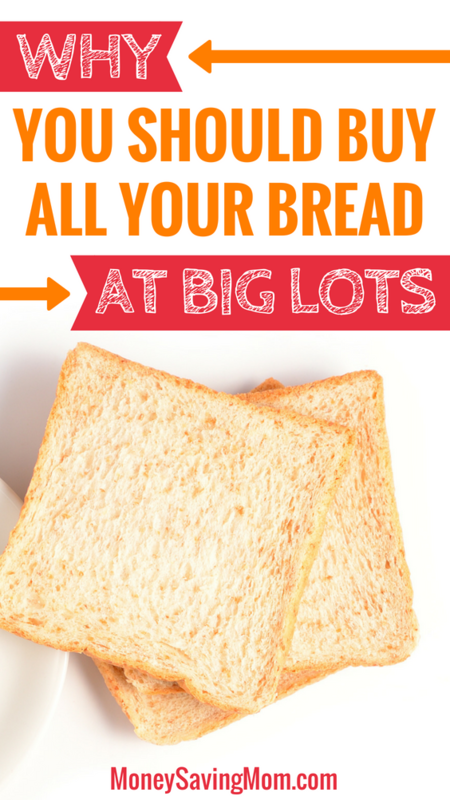 Did you know that Big Lots sells bread?!? I had no idea. I haven’t been in a Big Lots store in years and had sort of forgotten about them. But some of you kept suggesting I go in there and check it out. They had a lot of different bread and bagels on the cart — all priced at $1.40 per loaf. 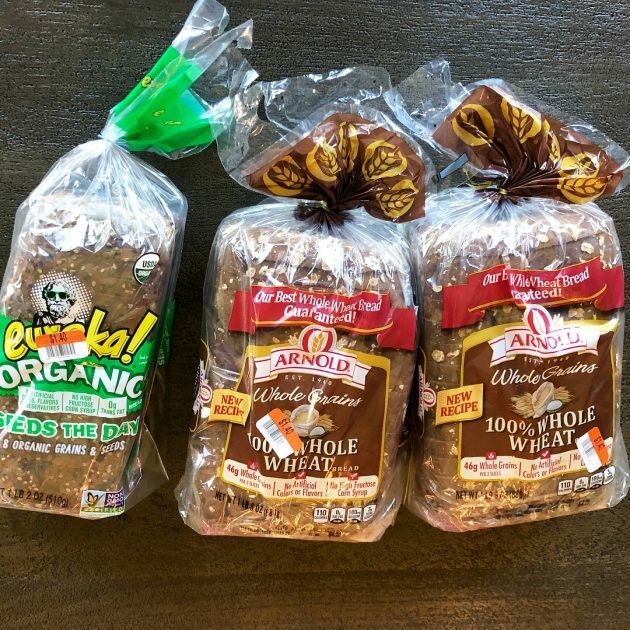 If you have a Bread Outlet, you might be able to find bread less expensive than this, but this is a great deal for these name brand breads in our area. Yes, the bread is close to the sell by date so you’ll need to freeze it when you get home. But we always freeze our bread anyway and then just use it from the freezer as needed. I’ve never tried the Eureka bread before but some of you said it usually retails for $6 a loaf and that it’s fantastic! Moral of the story: You never know where you’re going to find great deals! There might be some hidden gems right where you live that you don’t know about because you’ve just never checked. I took this hot guy with me shopping this morning. 🙂 I was getting ready to hop in the car to run to Aldi and I spontaneously asked him if he wanted to come with me. It was a quick shopping trip, but we had some great discussions in the car and just love opportunities like this to get to be together! 15 years and we still love spending time together! Also, it’s so fun that our kids are old enough that we can now leave them at home by themselves! I was kind of sad that I was $2+ under budget. 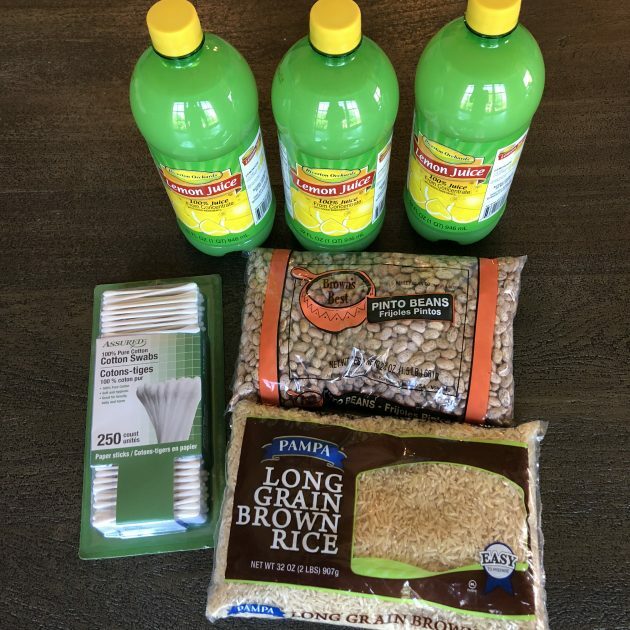 I would have purchased another item or two at Aldi, but I was afraid that I was going to be over, so I didn’t just in case! 🙂 Oh well! I am not budgeting so strictly, but I did find a lot of markdowns on organic products on an endcap at Meijer today. I had not been to that location in about nine months, and I had my three kids with me. Miraculously, they behaved (I took them to a park first). 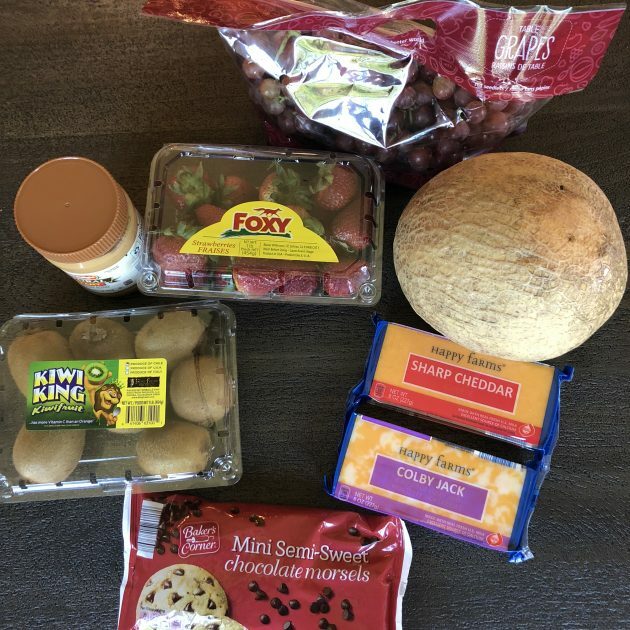 I got a variety of granola bars, organic labels with healthy ingredients, for $.98 per box. I’ve had a cold, so I also got some vitamin C buy one, get one free. I’m hoping to finish my food shopping tomorrow without kids! We also stopped at a church rummage sale on the way to the park. I love those types of sales! I got two nice Calphalon pans with glass lids (to replace two pans that I’ve worn out with all the home cooking I do), I found a like-new Columbia winter coat for my 7 year old son, plus two shirts and a pair of Air Jordan sandals (he chose); 8 Hot Wheels cars (my 5 and 7 year olds play with these), a pair of footed pjs for my 5 year old, a purse and Hello Kitty toy and Spot it game for her, a brand-new knitting kit with yarn, crochet hook, knitting needles and tapestry needle, two other bags of yarn with alpaca yarn, one small weaving loom and a pack of erasers. We got it all for $14! That’s amazing what you found at the rummage sale! And YAY for markdowns!! I can’t figure out what kind of meals you made with any of this. My Big Lots doesn’t have bread, but they DO have better prices than Walmart on stuff like air freshener & scrubbing bubbles & the sponge do-dads I use on my dish wand. They are also the best deal on Bob’s Red Mill products you will find! I always get my bread there and buns too if we are having a bar-b-que or something. Big packages for super cheap!! I get a huge jar of coconut oil for $8. I also get huge bags of popcorn with himalayan salt for only $1.90! It’s a great go to snack. And matcha tea for only $3! I make a trip every week specifically for the cheap bread though!! Every time I check out the mark downs , the price is still too high. Have never been able to find price like you getting you food at. Had to stay cheap like that! There are LOTS of markdowns I pass up because the price is too high. You have to “dig” a little and really look and they are usually there! The more you do it, the faster you get at knowing where to look! I always love shopping in Aldi now. I used to shop in target, publix and Cosco. splurge with my cheeses?). I also at times purchase chicken drumstick to switch around recipes and at times purchase chicken salad when Im too tired to cook and just want to make sandwiches. Their chips and salsa and guacamole dip is great too. I think I learn about Aldi from you . I did not know that we have one close by our home. I went and check it out and see what works for my family likes and diet . In the end my budget is better . With chicken breast ( I did 3 seperate recipes like that chicken penne pasta pesto , chicken vegetable pasta , chicken and rice with vegetables and pork chops( I made out if this world that my 2 kids and hubby complemented me).Just imagine how this food really last for family of 4. Its a lot fun food shopping and cooking now and being creative with my budget as well ..? Way to go!! I love Aldi! Walmart has organic Maranatha peanut butter for $5, they have hangtags with $2-off coupons, and Ibotta has a $1.75 rebate on them (up to 5), so they’re just $1.25! We were pretty excited to find that deal. That’s an AMAZING deal! Thanks for sharing! 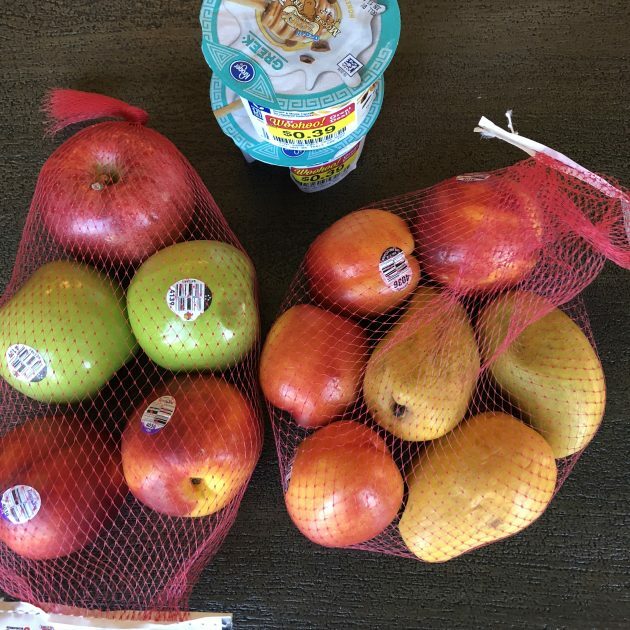 Just roll the $2.00 you had left over to your next shopping trip. Awesome savings, girl! I learned recently that Dollar Tree also sells bread. I bought 5 loaves of Sara Lee for less than one loaf at the supermarket. Ask your local store what days they get their bread delivery. Keep up the good work! Cheers! We have an amazing store in our town named The Bridge. It is voluntary run by one of the churches in the area. I’m able to do 98% of my shopping there and can feed my family of 3 (one of which is a growing 17 year old boy) for $40 a week. Big Lots is my go-to place for organic and gluten free snacks. They often have boxes of larabars for a good price. in my trip yesterday, I got a 44-count box of Annie’s organic gummies for $2.99! That is amazing! And you look 20!?! What’s in that TN water?!? Haha! Love seeing your posts! We don’t often go food shopping at Target on Saturday. We ran in for some stuff, and for fun I checked out their chicken. The family packs had $4 off coupons, because they were dated to sell by today. Then it dawned on me: A lot of their fresh food is marked down on Saturdays, because their new prices and sales start on Sunday!!! And yay for marked down chicken!! Big Lots clearance is seriously my favorite thing. 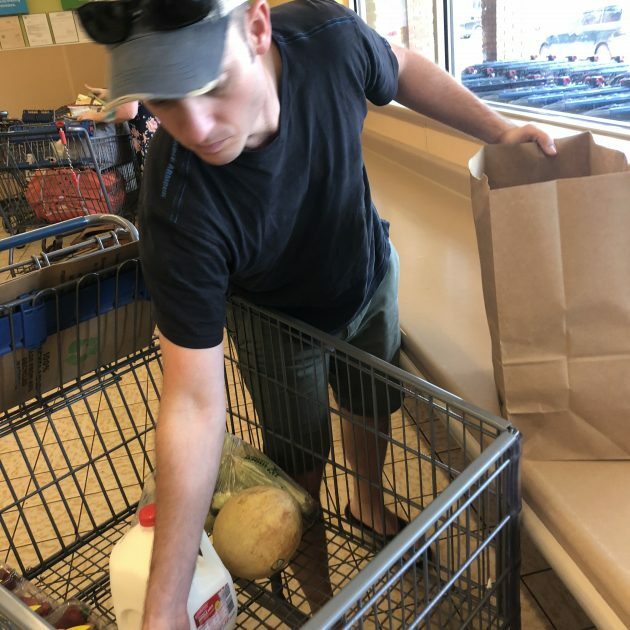 I have found CARTS full of 5 cent items – Triscuits, Granola Bites, etc. Talk about stockpiling! They typically have a section of clearance foods and at the end of the month, carts of reduced items. At least at our store. It’s in the same strip as our Aldi, so I am usually set! That’s AMAZING! I will definitely keep my eye out for their clearance — thank you for that tip! Great savings! I have been finding bread at the Dollar Tree. It is good quality at mine! I also freeze mine right away. Today I was able to get hot dog rolls, hamburger buns. Bagels, all for $1.00 each! I miss being able to get bread at Dollar Tree! Our DT’s in Kansas carried it and it was the best ever! I keep hoping maybe the DT’s will start to carry great bread here! My kids are obsessed with buffalo chicken pretzel thins and I stock up on them at Big Lots b/c the big bag is literally half the price at Big lots, plus 10% off when they have their friends and family sale. I use to shop at Big Lots mainly for the breads. I also had the Buzz program not at all sure if they still have that but they did 20% off days on that program that saved a lot. Bread was the main thing I bought at Big Lots in 2004 the Tide was cheap there. Sometimes snacks are cheap as well . I just signed up for their rewards program and I’m going to try going there every week for awhile to scout out what they have. I’ll for sure report to you all if I find any amazing deals!